The US President Donald Trump said Washington is under �no pressure� to achieve a trade deal with China as the prospect of new tariffs loom. �We are under no pressure to make a deal with China, they are under pressure to make a deal with us,� Mr Trump said in a tweet on Thursday. 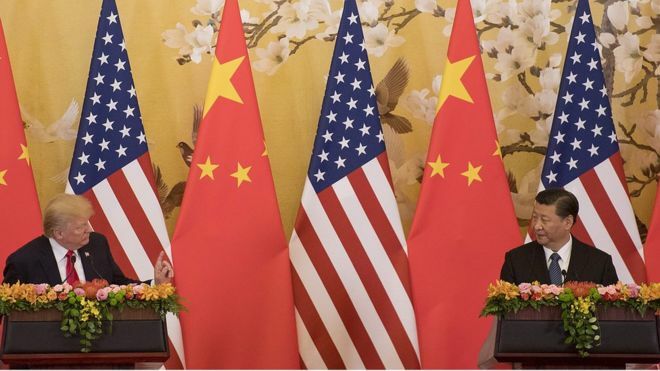 The US and China have slapped tariffs on $50bn of one another�s goods this year in an escalating trade war between the world�s two largest economies. Trump said last week he could move �very soon� to impose tariffs on an additional $200bn (�153bn) worth of products with taxes on another $267bn �ready to go on short notice�. If both sets of tariffs go ahead it would mean virtually all of China�s US exports would be subject to new tariffs.